High-density field-configurable panels are available in 24- and 48-port sizes. Panels provide the flexibility when field configuring using a variety of connectors including category 6A, 6, 5e and voice-grade high-density jacks as well as a wide range of fiber and audio/video multimedia modules. Field configurable - a variety of connector modules can be installed in any combinations. 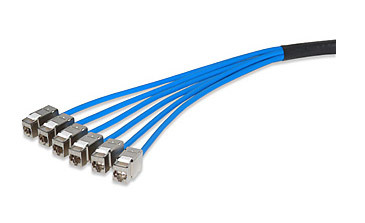 Can be used as a feed-thru interconnect when used with twisted-pair inline couplers. Maximum strength and durability construction. Accommodates both unscreened and screened twisted pair keystone jacks. Snap-in rear cable management bar.